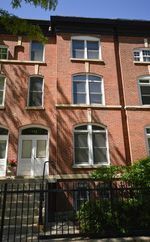 Newly renovated 2 bedroom (1 bath) apartment in the heart of Lincoln Park. The entire unit was remodeled. New tile entry, new hardwood floor, completely new bathroom, entirely new kitchen (stainless appliances), new washer/drying in unit. The unit looks great! Available February 1 (early move in negotiable). 1/2 mile from the Fullerton Red/Brown Line and 1/2 mile fro Oz park. Great location on a quiet street. Gas (utility) is included in the price of the apartment. Just pay electric (and cable/internet). Schedule your showing today! Original Detailing - Decorative Fireplace, high ceilings, moldings, trim, stained glass. Lots of light - big windows - easy street parking. 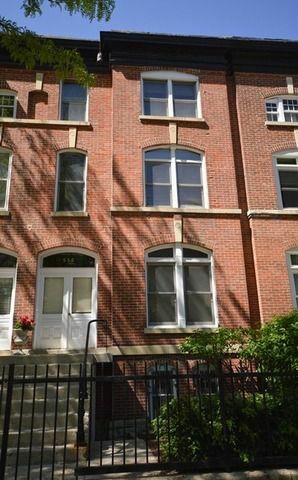 Features D/W, window A/C unit, front/rear outdoor patio areas + Laundry in building. 0.5 mile walk from Fullerton Red/Brown/Purple Line -1 block from Oz Park, 3 blocks from LP Zoo.